This basement underwent a complete transformation! What started out as a kid’s play area is now a stylish retreat the whole family can enjoy. 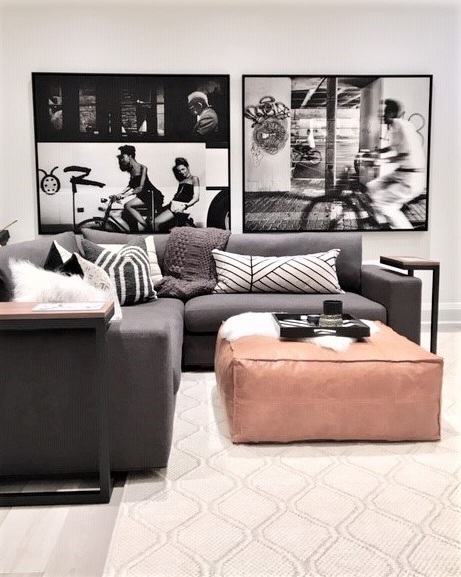 The clients had outgrown the original basement, and were looking for something with clean lines, a contemporary feel, and a functional layout that could accommodate their needs. The footprint of the basement was re-worked to include a large entertainment area with two sectionals for plenty of lounging, a beverage counter, and games table. A home gym was incorporated into the space, tucked behind glass doors for noise privacy. Our clients are thrilled with their new space, and are looking forward to enjoying it for years to come!